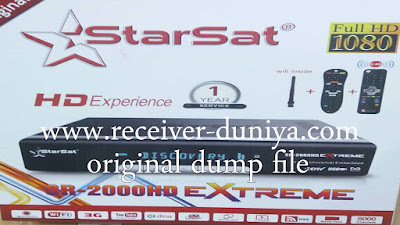 Friends I am sharing ORIGINAL DUMP FILE STARSAT 2000 HD EXTREME. And also original latest software, Powervu auto roll software also which are all of from company software. You can download Loader and as well latest softcam.